Mammoth Mountain is the premier destination in California for numerous mountain activities including hiking, biking, skiing, and much more. However, while Mammoth has gained increasing popularity in recent years as a summer vacation destination, due to the gorgeous scenery, the amazing hiking, and the world class level mountain bike trails, Mammoth is still most notoriously known as arguably the best skiing location and all around winter destination in California. If you have never visited Mammoth, you may be wondering what makes this particular vacation destination so special; in short, Mammoth mountain is the perfect, and perhaps the most beautiful, ski destination. At an elevation of over 11,000 feet, Mammoth Mountain is the highest destination for skiing and snowboarding in California. What makes this location particularly unique, and what leads to its popularity among skiers and snowboarders worldwide is its: 3,100-foot vertical skiing range, its 3,500 skiable acres, and the fact that its average winter season lasts from November until June. Another aspect of Mammoth Mountain that makes it such a popular winter destination is the wide variety of activities that are available for those who are not interesting in skiing or snowboarding. Alternative winter activities include cross-country skiing, snowshoeing, snowmobiling, and tubing as well as various other snow centric activities. Then of course, no skiing destination is complete without nightlife activities, which Mammoth has many options for. Whether you want to go for a fun beer tasting at the Mammoth Brewing Company’s tasting room, or if you are in the mood for a fine dining option such as Petra’s Wine Bar and Bistro, there are options for every mood and style; and of course, there are many more dining options. What makes Mammoth Mountain one of the greatest skiing destinations on the west coast is that it provides a wide range of activities that will suit the needs of any type of visitor who chooses to take a vacation there. To find out more about vacationing in Mammoth Mountain this winter, contact us at (855) GO-MAGGIE; we can help to provide you with the information that you are looking for. 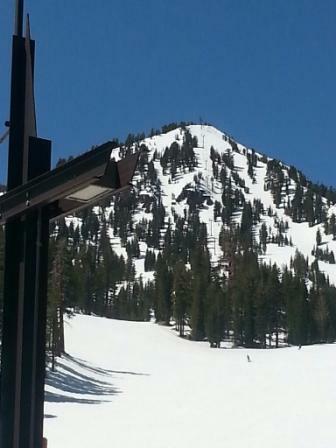 Also, be sure to check out our Facebook page at https://www.facebook.com/pages/Maggie-Larson-Sierra-Resort-Real-Estate-Mammoth-Lakes-CA/172331229521329?ref=hl.